Big crowds showed up for the Battle of the Badges at the Sobe Ice Arena. The proceeds benefited the injured Police Officers Fund. 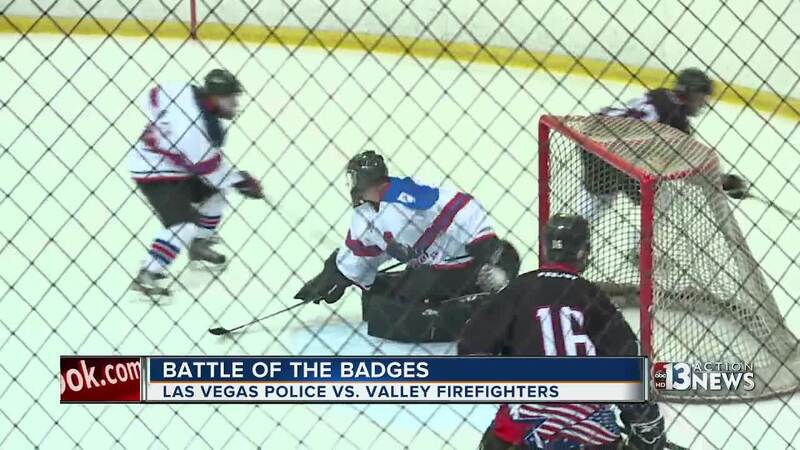 Las Vegas police faced off against city firefighters on Saturday during the Battle of the Badges hockey game at the Sobe Ice Arena. Big crowds showed up to the event, with all the proceeds benefiting the Injured Police Officers Fund. The first game was a tie at 2-2, but firefighters surged ahead during the second game with a final score of 7-3.